As readers know, we love our family days out. Even though we like to make the most of the free experiences all around us- such as the beach, the woods and the park, we also like to support local family attractions too. I think it’s important for kids to learn about money and to get an idea of what different days out cost for our family. When Danny and Rebecca were given an Osper Card recently, we challenged them to organise a fun, family day out for us all. Danny began researching local attractions. At first he planned to book tickets for Oakwood Theme Park. He soon found out that Oakwood has closed for the Winter. He also found out that a family ticket for 6 would cost us £98., so would use practically all of their money combined and wouldn’t even cover food and drinks. He then started seeing the posters advertising the Christmas Cracker event taking place at Milford Marina and asked could he book for this. As we were planning to go there anyway, we willingly agreed. Osper topped the kids cards up with £50 each, but we can easily top them up too using the App- so handy for giving gift and pocket money. Danny booked tickets online for ice skating. At £3.50 each, this came to £17.50 for five of us to skate (Dave had to stay off the ice to take the photos!). 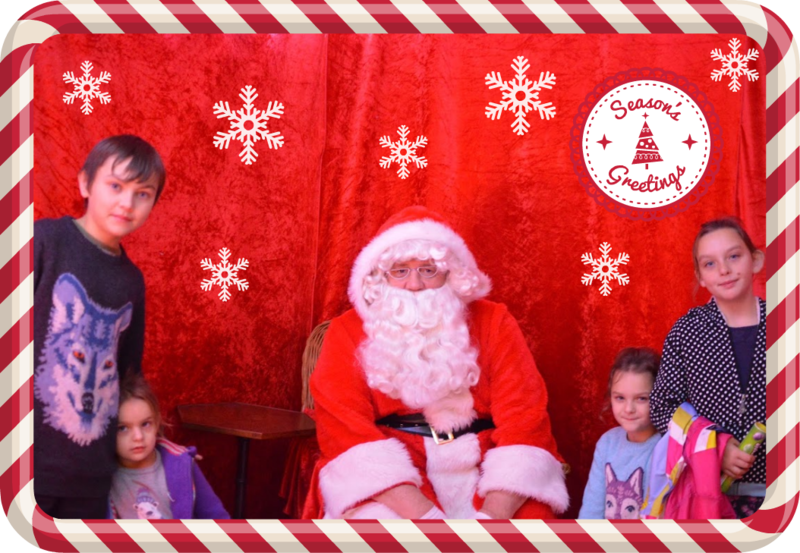 We found out that a visit to Santa’s Grotto would be free. Danny then used his Osper Card at a cash machine to take £10 out to cover any rides (he allocated a £2.50 budget for each of the kids). Rebecca asked to be in charge of the “catering” side of the day out. She originally planned to make a picnic with her money. When she found out we were ice skating, she decided to pay for hot chocolates to warm us up post skating. She withdrew £20 from her account to make sure she had enough to cover this. One thing we noticed when using the cash machines was the card balance always displayed as £0, but still allowed us to withdraw the money (as we knew there was money loaded on them). So, on Sunday morning we set off down Milford Marina. We had booked tickets for the 10.45 am session. This was a great choice as we had the ice rink to ourselves! I had nearly asked Danny to book for 10 am, but then I remembered it’s better to have a slower paced Sunday morning. Being the only people there, we could take our time putting on our skates and there were plenty of penguins for the kids. Last year when we went ice skating, Isabelle was only two so stayed off ice with Dave. This was her first time. At first, she didn’t like wearing the boots. I told her to come on for one lap and if she didn’t like it, she could go and wait with Daddy. Unsurprisingly, she decided she quite liked it and after one lap she wanted to stay on. We had great fun. With watching Izzy, I couldn’t relax and skate properly. When I glided, I went too fast for her so had to shuffle slowly for most of the session, but it was lovely to see her gain confidence. It was also safer for me as I’m quite clumsy generally! At first she wanted to hold my hand. Then she preferred to hold on to the side. She did let go and skate independently a few times, so I can see she’s going to really take off the next time she skates. She actually found the penguins too heavy to push, but the other kids had fun with them! We skated around singing carols, the girls got quite competitive and started racing laps. The time went fast and soon our time ice skating came to an end. Dave and Danny got into the Christmas spirit for a photo! Then we went to The Crow’s Nest for a hot chocolate to warm up. The kids had special hot chocolates with cream and marshmallows (£2.50) each, Dave and I had pot of tea (£1.50 each) and chocolate treats (totalling £3). Then we went to see Santa in Milford Museum, We even had a mini tour on the way to the Grotto, so that was good. The kids always enjoy a visit to our local museum. Santa was lovely and even quite unexpectedly gave the kids a gift of sweets each. They were very grateful. Then we went to the fair rides. Danny chose the Fairground Darts Game for £2.50, alas, he didn’t win. The older girls chose the swings for £2 each. We had a lovely time at the Christmas Cracker event. In total we spent £40, which was good for a family of 6. I will pay the change back into the kids accounts. They now have a total of £60 left. Danny has suggested that maybe we can enjoy a day at Hangar 5, our local trampoline park, as this is £10 each, so we may do that over Christmas. 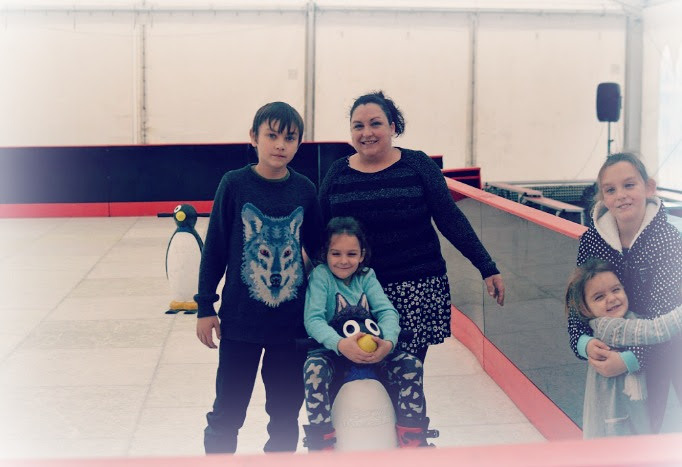 For this challenge, we concentrated on family days out, but now the kids have their Osper Cards, they can use it to help save up their money and it will also help with chore money next year too. If friends and family want to top up their cards they can do so easily, using an Osper Link. The Osper App makes it very easy to keep an eye on their balance too. Osper have just added two new features. Firstly ‘gift from Santa’ – this means if you wish to give the kids any money for Christmas you can choose to load as Santa – it will appear in their app as money from Santa (is instant so for Christmas day if you wished to use it). The second is pin or emoji quick log in, so you don’t need your username and password to log in each time. If you’re interested in an Osper Card for your child (from 8-18) you can sign up to get a free card (the first three months are free, after that you will pay £12 a year), sign up using this link and get £5 credited to your new account. I don’t normally like paying for banking, but I think £1 a month is reasonable for such a convenient service. We received the Osper Cards for review purposes, but all thoughts and opinions are our own.